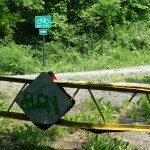 Green Committee members, Joel and John, set the new bike path signs in Tivoli Bays. 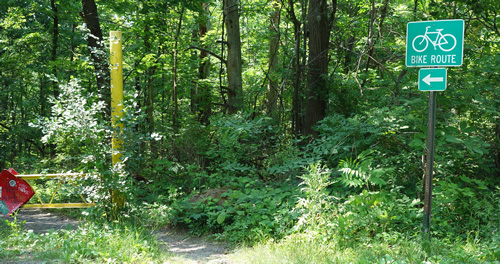 The path goes all the way to Bard through some beautiful meadows and forest. 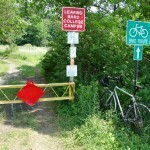 The new signage makes it easy to find your way. 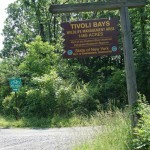 Entry to Tivoli Bays from Kidd Lane. An easy ride through the meadow. The Tivoli Community Garden is a volunteer-run organic garden located in the Tivoli Rec Park (aka Tivoli Memorial Park), started in 2011 by Tivoli’s then-newly formed Green Committee. The garden provides residents of Tivoli who otherwise cannot have a garden where they live the opportunity to develop their green thumbs, grow vegetables and flowers, and share organic gardening tips and tricks. The garden has 20 8’x12′ plots: 18 individual plots, one community herb garden/visitor’s pick-your-own, and a plot where our communal table and garden implements are kept. SIGN-UP FOR GARDEN PLOTS IS DONE ON A FIRST-COME FIRST SERVE BASIS, UNTIL ALL PLOTS ARE FILLED. 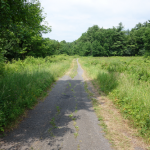 There is a $30 plot fee for the season, which goes toward garden maintenance and improvements, and toward supporting other green initiatives of the Village government. If you’re interested in learning more about the garden or would like to sign up for a plot, please write to tivolicommunitygarden@gmail.com. Join us in Tivoli to hear presentations from three leading solar energy providers in the area plus get information on how you can receive energy grants from NY State. There will be ample opportunity to ask questions. Refreshments served. Free to all. 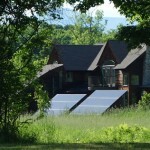 SunDog Solar is a full-service consultation and installation company offering residential and commercial renewable energy systems, including off-grid and on-grid solar electric systems and hot water systems, throughout the Hudson Valley. We also install spray foam insulation and manufacture mobile solar power stations. Our mission is to help our customers improve energy efficiency, reduce energy spending, and increase building performance. Our factory is 100 % solar powered and carbon neutral! 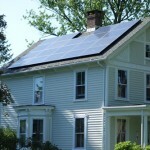 Hudson Solar is a local, family-owned and operated company that has been in business for over 11 years. We focus exclusively on the design and installation of solar electric technology and have over 1,200 systems installed locally. We install systems for residential, commercial, and agricultural properties throughout New York, Vermont, and Massachusetts. 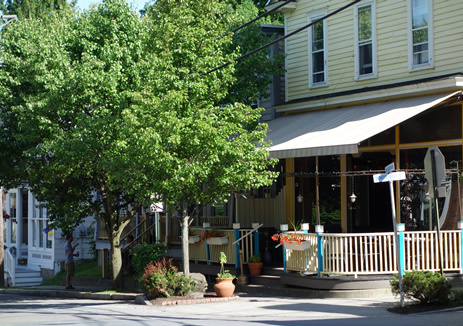 At Hudson Solar, we practice what we preach: Our Rhinebeck Headquarters was the first Net-Zero commercial establishment in New York, and our Albany office just went solar, as well. We also have the best team around: We were recently presented with the 2014 Times Union Top Workplace Award, which is an employee survey-based award. If you had the choice between paying more for dirty power or paying less for clean power, what would you do? SolarCity, the nation’s largest full service solar provider, functioning in 15 states, has asked this question. Due to this, over 100,000 people have made the switch and now benefit from clean energy. If you were presented this option, what would you do? Because we believe that everyone should be able to afford clean energy, we developed a way where one can simply let us install the panels, for as little as no cost, and just pay for the power they produce. If you had the choice to control a portion of your energy requirements for the next 20 years and have clean power, which would you choose; clean energy or dirty energy? The New York State Energy Research and Development Authority (NYSERDA) offers innovative programs, technical expertise, and funding to help New Yorkers increase energy efficiency, save money, use renewable energy, and reduce reliance on fossil fuels through incentives and low-interest loans. More information will be posted here and around the Village. Tell your friends. It should be a great event.